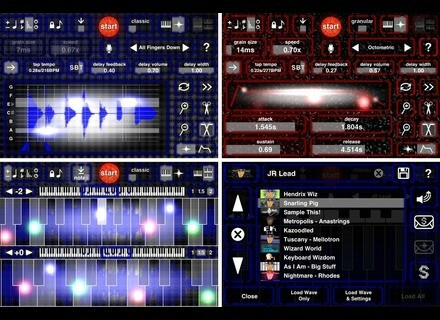 SampleWiz for iOS, Virtual instrument for iPhone / iPod Touch / iPad from Jordan Rudess Wizdom Music. Resample anything that you play on the playing surface to create all new samples derived from your existing presets. Every note you play is an independent event allowing control of pitch and amplitude. Finger vibrato effect designed to allow you to achieve vibrato even when pitch lock is activated. Specific visuals for each sampling mode. A glow tracks your fingers and respond to the amount of amplitude of every note you play. Choose from various different scales and customize your own. Play your samples forward or reverse. Special visualization of the amplitude envelope on the ADSR page. Have two keyboards on the screen, each with its own range and scale. Hold mode where every held note can be in a different synthesis mode. Play directly on the waveform and hear the audio as is. Slide each finger separately in any direction to change pitch and position in the sample. Sinevibes Sequential v1.1.0 Sinevibes has released version 1.1.0 of Sequential, an effect sequencer plugin for Mac. Trance & Progressive Essential Pack Vol.1 Klems Musik released its Trance & Progressive Essential Pack Vol.1 for ES2. 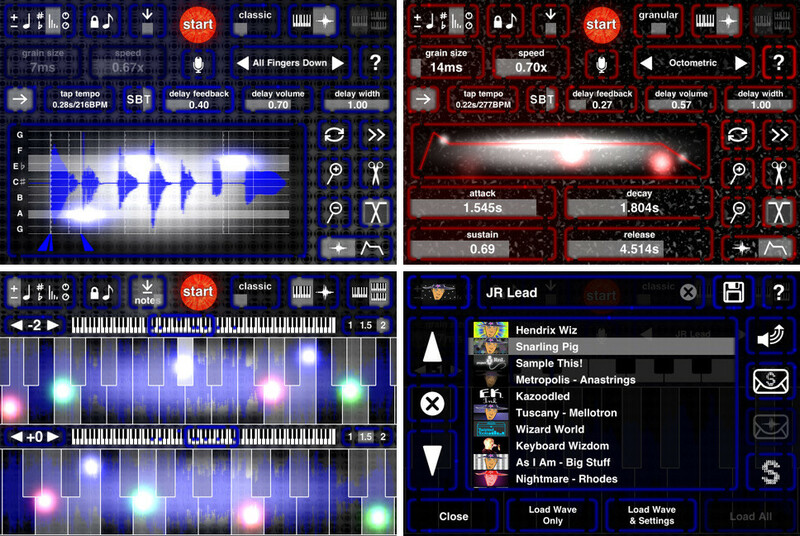 Universal Piper 2.0 Virtual bagpipe instrument Universal Piper was updated to version 2.0.